To create a positive image, stories about Pakistan’s art, culture, historical sites and music need to be promoted. Picture: CEO Clubs – Pakistan Chapter. Pakistan needs to create other narratives. There are true stories to be told about the country; its art, great historical sites, its food, its music, the stunning beauty of the northern areas and, most important of all, the culture of hospitality. I am back at my desk in London after my fourth visit to Pakistan – where I ran a training course and seminars for Pakistan Advertisers Society called ‘Brand Building in the Digital Age’. It was a joyful experience; great hospitality, warmth and conversation (as for all previous visits). What I have just written will come as no surprise to Pakistanis, who are justifiably proud of their nation, culture and the welcome that embraces strangers and visitors; that pride is particularly evident now as the country celebrates its 70th anniversary. But it is a surprise to many others who have never visited – including intelligent and well informed people. There is a frustrating gap between the reality of being in Pakistan and the image of the country abroad, especially in Europe and the USA. This frustration was the topic of many conversations, and a long one, when I visited the Dawn offices to meet friends at Aurora. The cause is not difficult to analyse. Twenty four hour news media feed on bad news stories. So, the image that stays in the mind is of a TV journalist reporting on violence and human tragedy. We tend to remember most what we have most recently seen – it is a well-known psychological effect – and so this image crowds out others. In London, where I live, people believe violent crime is on the increase because incidents make the headlines and create (occasionally gory) picture stories. In fact, the opposite is true. All trends show that violent crime is on the decrease. Now, of course, the media have a duty to report the news. That is not my point. And I can’t see the appetite of 24-hour TV news media for violent picture stories diminishing. Pakistan needs to create other narratives. 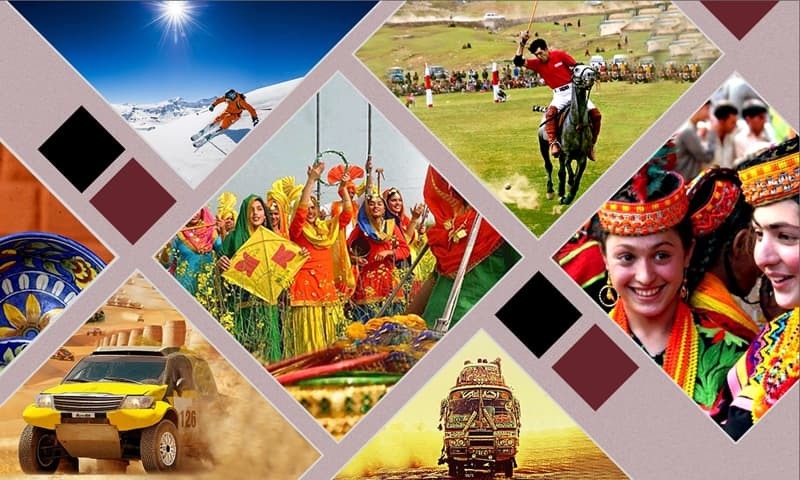 There are true stories to be told about the country; its art, great historical sites, its food, its music, the stunning beauty of the northern areas and, most important of all, the culture of hospitality. As a Londoner, I can go all day without talking to a stranger, whereas in Pakistan, I had many spontaneous conversations with people as I went out and about in Lahore and Chiniot. In a nutshell, if the problem is geo-politics, the opportunity is culture. For example, people come together over music (all musicians are great collaborators) and food is the stimulus to conversation. History challenges the simplicities of headlines with a more nuanced understanding. Everyone can appreciate the pleasure of walking together through stunning landscapes. If you want to understand someone go on a long walk with them. How can Pakistan do this? 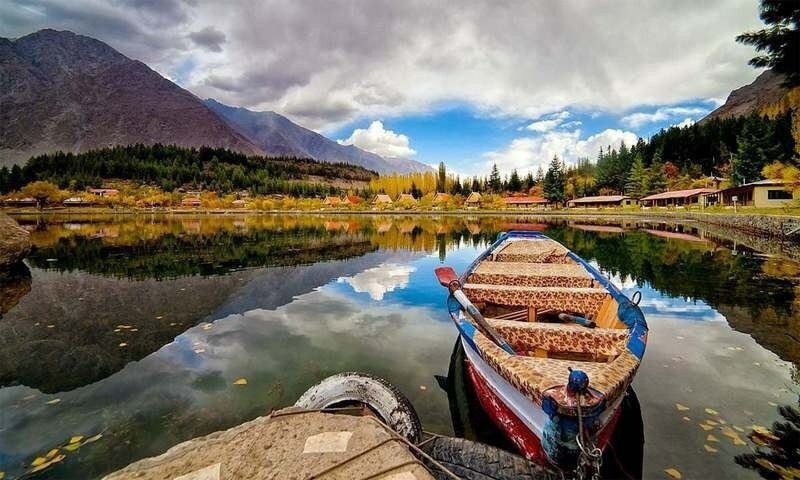 I think there is an opportunity for a leader to make the case for a proper budget to promote tourism to Pakistan. 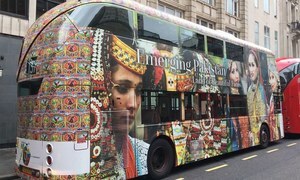 But not the kind of tourism campaign that just shows pretty pictures – but one that tells the many true stories of what it is like to be in Pakistan and its different regions with their own distinctive characters. There has never been a better time to start this, with the advent of social media like YouTube, Facebook and Instagram. These are fuelled by human stories told through images and short films. The time is ripe now (not for an oversimplified advertising message), but a broad platform that allows many to make films and share images. 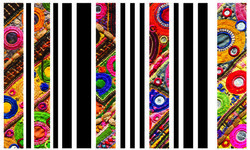 My working title for this is ‘My Pakistan’. If you go on YouTube right now you will see the problem and the opportunity in seconds. Search ‘Pakistan’ and you get the bad news stories – leading films are of Trump and the tense relationship with the US. Well, that sort of story is probably not going to change any time soon. But you could create another YouTube channel that tells different stories. Pakistan has the resources – a whole generation of young people are growing up whom we might call ‘digital natives’. They know how to create and curate images of themselves on social media and these skills can be harnessed for the greater good. If you would like to know more about what I have in mind, just respond to this post and I can develop this thinking in more detail. If you think I am being naïve and unrealistic let me know too. Alternative images cannot fool people. It is the ground realities that everyone can see whatever may be. Julian Saunders has rightly pointed out the gaps that have created a distorted image of Pakistan abroad as well as at home. 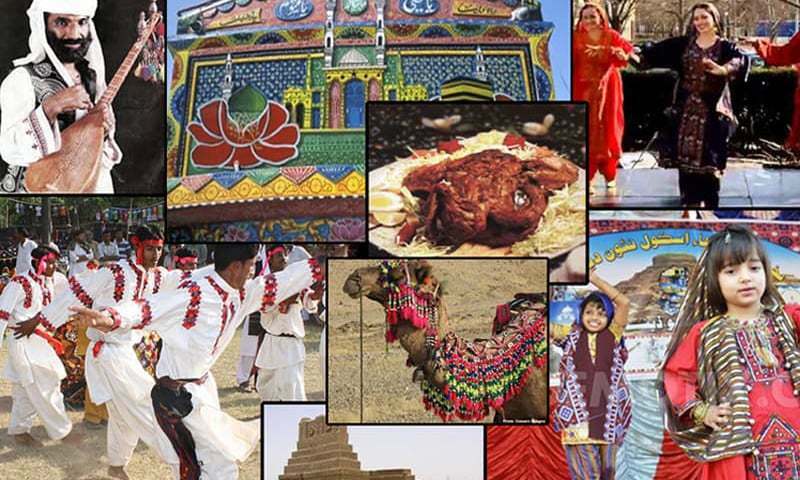 It has now become imperative to showcase the soft image of Pakistan using its rich and diverse culture, cuisine, beauty and people. Great initiative ! I am currently studying in Australia and agree with everything you're saying. Let me know if I can be of any help!! That's kashmir not pak which is grabbed and not safe to visit. you can paint a tiger to look like a sheep, but you cannot change its blood thirsty nature. Alternative narrative will not mask the reality of this failed nation. Well, isnt it hard to positively brand a country when its in crises of bad image ( which infact is not true) ! You say all this, and then I know expatriate Pakistanis living in the US who are themselves apprehensive about their safety even on short visits to their motherland Pakistan. What say you? @Abhi ...are you talking about IOK which is locked under curfew 7 days a week? i am Azad kashmiri we live in heaven in Pakistan while my brothers and sister die in IOK daily and dont even have meals for 3 times. @One Mountain, Abhi & Guest4321 It seems that you guys/trolls have nothing else to do and only Pakistan bashing is your favourite game. Please grow up and come out of this cocoon of anti-Pakistan rant as this will take you nowhere. @Abhi U are mistaken, they are not talking about Indian part of Kashmir which under virtual military seige. 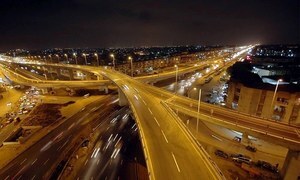 Pakistani part is completely safe and peaceful and everyone can and do visit it without any issues. I couldn't agree with you more - Pakistan is a beautiful country, rich in culture and amazing people. It's a shame it has been tarnished by western media and the poor choice of leaders it has had for some time now. It's time for the younger generations to come forward, as many are, and showcase Pakistan for what it really is - a country abundant in culture, values, art, music, history, literature and beauty. Please do let me know what all you have in mind to improve the world perception of my home country. @TAK you certainly live in a cucu land. Being emotional and day dreaming, I can also build castles in the air but I try to remain realistic. There are good things too in pakistan undoubtedly, but in general that is a sick society from bottom to top. Exceptions are always there. Absolutely spot on...having lived in both Pakistan and London and worked in the social media content development field I absolutely agree that a deeper, more focussed approach needs to be taken. There are many independent efforts being made...14 August alone sees twitter trending with instagram photos, positive image challenges, blogs like propakistani etc...there is humans of Pakistan bringing human stories to life but short marketable viral videos coming from a singular popular platform even if it comes at the cost of "somewhat exoticising" pakistan or an organisation that backs its social media players would do so well. While in London we heard such great reviews about morocco and made a trip there and of course not discounting its history and culture and beauty at all but I really wish we marketed pakistan like that and it would do so much for our tourism. Very well directed article, spreading Love, Peace & Positive image of Pakistan, on the Global Level. I like the initiative and would like to know more what's in your mind. I am also planning to develop a platform/channel to Spread Positive Image of Pakistan which garners support and engagement of International Community. This is a nation created on ideology. Israel is another example. World cannot allow it to succeed. Long love undivided Palestine and undivided India. Thanks Julian for your input. Indeed, Pakistan is represented very poorly in the western media. Having visited several developed countries, I can tell that no country is perfect but those countries I have visited get tons of tourists even though I sincerely feel the level of hospitality and cultural and historical landmarks in Pakistan is equal to if not much greater in both significance and size. Ultimately, the truth of life is, that perception is reality, and it is the perception that we have to work on. Playing double game is ingrained in Pakistan's DNA and it will never change no matter what narrative that one wants to spin. It is the ultimate rentier state that has no loyalties. Pakistan's values are mired in tribal Arabian society. It is about time the world went ahead without worrying about Pakistan. Mr Saunders, you cannot be more right. Living away from my homeland for the past 12 years and getting impressed and awed by the change and development in all realms of normal routine life lead by the masses, every year I visit back home; I so want to tell the world, we are just like all other countries with most good n a few glaring bads. I will be happy to be part of your effort.